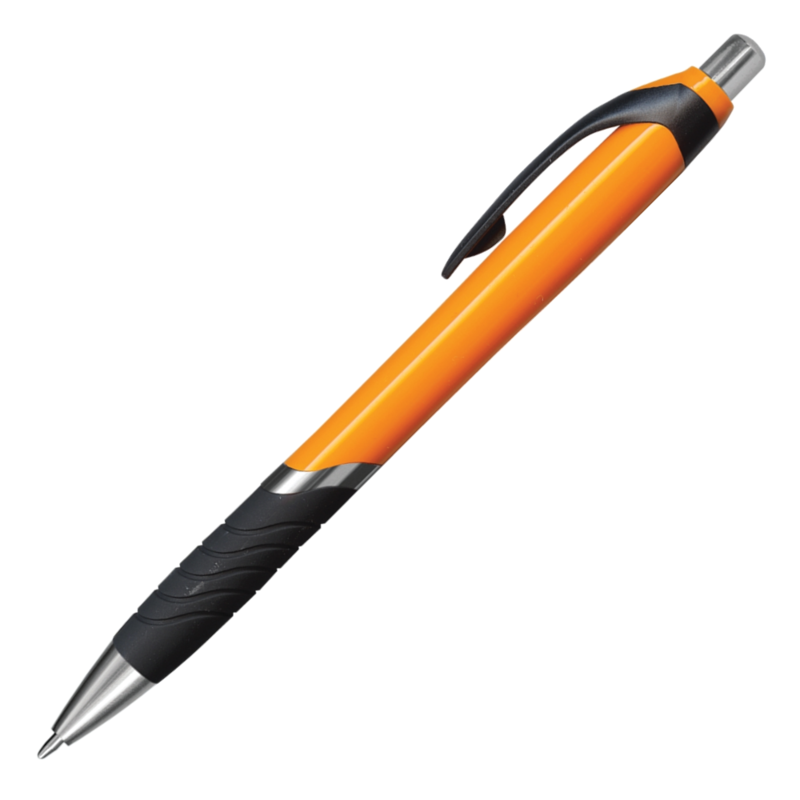 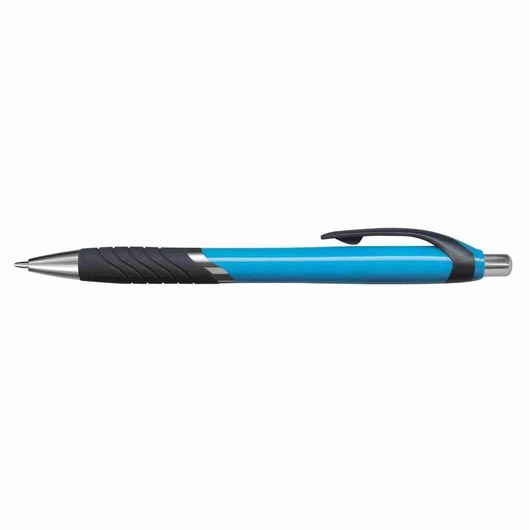 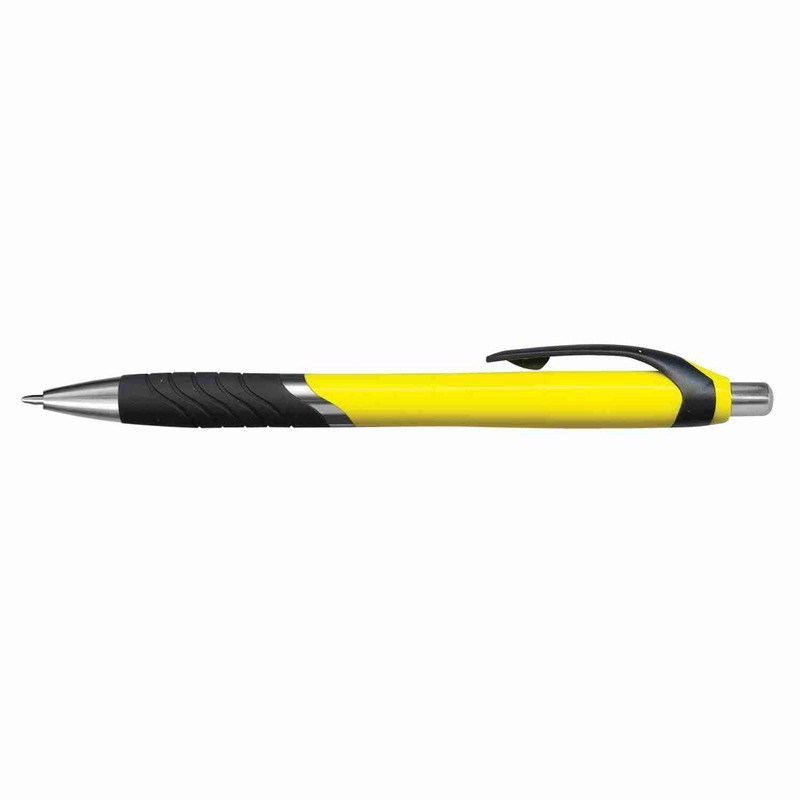 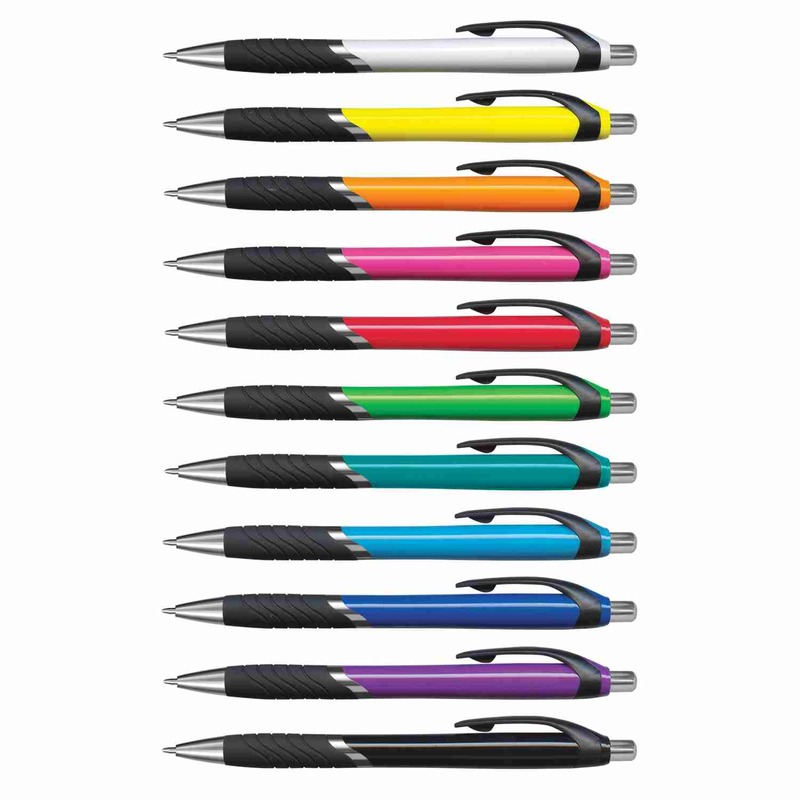 A solid colour barrel pen that catches the eye and looks great with printed branding. 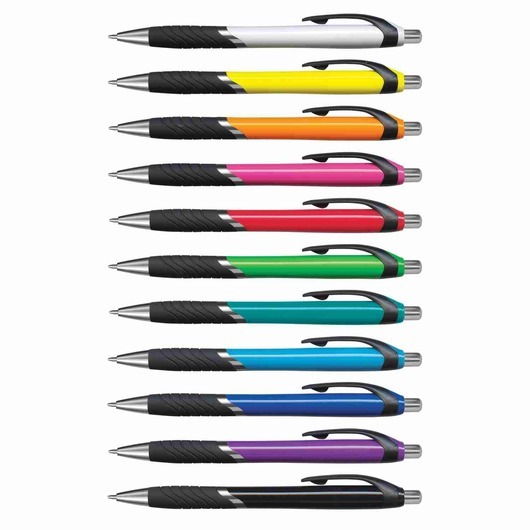 Put your promotion in the spotlight with some of these plastic/metal ball pens. They have an attractive design and are effectively priced to allow you to get the most out of your promotion. They have a soft touch rubber lacquered grip and shiny chrome trim and come with 1200m of German made black ink as well as a tungsten carbide ball for superior writing quality.